Efficiency, performance, and comfort! 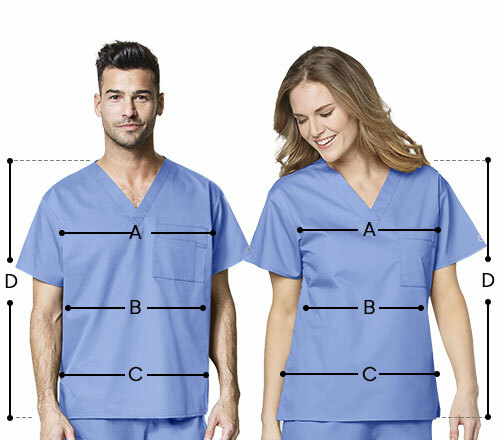 Landau women’s solid nurse scrub top is ideal for all medical professionals. With a snap front closure, the garment provides a comfortable fit. Featuring V-neckline, and four pockets with a penlight; the top offers functional features that make it a must-have workwear essential. Short set-in sleeves and side vents render mobility. 5 snap front closure and side vents designed for easier movement and quick access to the pants' side pockets. I love this top in pink! As well as in wisteria, true red and many others! I have six of these in different coclors! This scrub top is very much apt for my work. I can stay fresh because of its roomy design inspite being really busy during my shift. The pockets are also very functional, they serve me well. This scrub top is nice. I has a roomy fit, not baggy and not skimpy - just the way I like it. It would have been perfect if only its fabric is soft and comfortable, but its not. So I'd give it four stars.